The enlivening term “Harlem Renaissance” is often used to describe the upside of the uptown neighborhood’s many boom-and-bust cycles—with shifts to economic prosperity ushering in myriad cultural movements. 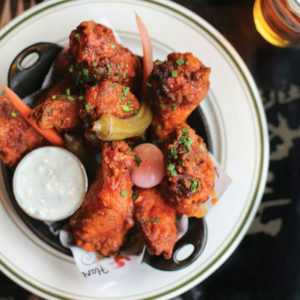 Food tends to follow good fortune and while the streets of Harlem have always been dotted with remarkable eateries, recent history has accelerated the growth of the area’s restaurant scene, from Central Harlem towards the Hudson River in the West and back across the neighborhood to the East River. Harlem is lively, loud and always animated—and the restaurants move to that same rhythm. 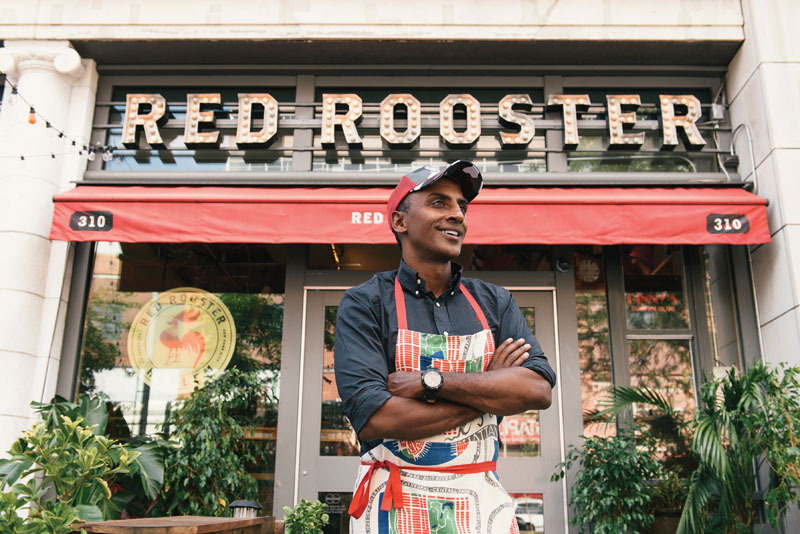 One of the village’s famed eateries, Red Rooster, was conceived by internationally renowned chef and Harlem transplant Marcus Samuelsson. 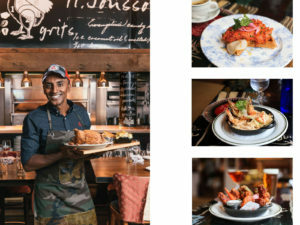 Ethiopian-born and Swedish-raised, Samuelsson embodies the very spirit of his chosen home and his restaurant reflects the deeply diverse cultural mixture. It was the combination of Harlem’s rich culture and unwavering encouragement from his mother that led Samuelsson to hang his chef’s jacket in Harlem at Red Rooster in 2010. Serving comfort food that celebrates American roots with varied international twists, Red Rooster was named in honor of a legendary Harlem speakeasy whose spirit lives on downstairs at Ginny’s Supper Club, where live music supplements the succulence of the restaurant’s menu. 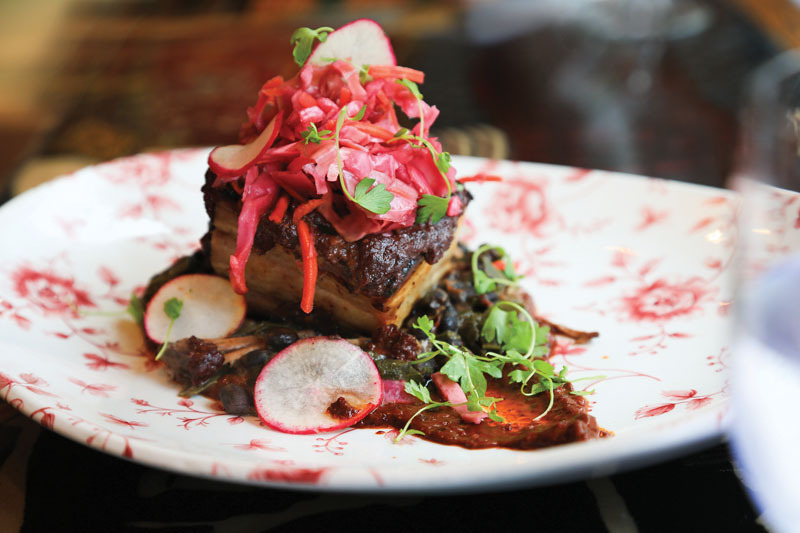 Red Rooster’s menu coalesces the chef’s early life, his travels and Harlem itself. Samuelsson’s own richly diverse background marries perfectly to the epic poem that is Harlem’s history. This is illustrated deliciously in Samuelsson’s Red Rooster Cookbook: The Story of Food and Hustle in Harlem, a food-driven love letter to Harlem the chef released last year. In the book, the chef supplements his favorite recipes with odes to Harlem, as well as his cuisine’s varied connections to his own off-center upbringing. 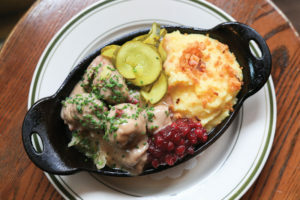 Of all the dishes on Red Rooster’s menu, the chef says that Helga’s Meatballs offers the truest taste of his personal background. Samuelsson’s family roots taught him more than simply which ingredients to use and when to use them. It instilled in him the strength born from a hard day’s work—a lesson learned as a youngster in Sweden. Those years of hard work on fishing boats in Sweden and in kitchens across the globe have all led Samuelsson to Harlem—and to a world where food leads a new renaissance. A boisterous bar greets guests in the Harlem hot spot Red Rooster, with inventive cocktails liberating eaters before the dining room’s main event. Marcus Samuelsson’s favorites from Red Rooster’s menu include Helga’s Meatballs, with short rib, pickled gravy and bacon-lingonberry jam; Obama Short Ribs, a slow-roasted beef rib and succotash with dumplings, a scallion pancake and chili sauce; and the top dish, Fried Yardbird, a sublimely decadent fried chicken dish with dark meat, sweet potato mash, collard greens and pickles. Perhaps the most visually striking dish on the menu is the Royale, a whole fried chicken for two. The server brings out the bird and presents it to its wide-eyed eaters, then takes it back to the kitchen where it is cut into pieces. The Royale’s best feature, its fried skin, is golden and crisp, while the meat excels in juiciness. Other dishes that pulse with the bustling dining room are the unctuously extravagant Shrimp and Jerk Pork Belly Hot Rice, a deeply spiced dish with pineapple, aged basmati rice and curry leaves; as well as thick panels of buttery cornbread, paired with a pat of luscious honey butter and an African-spiced tomato jam. For a sweet touch after the meal, Red Rooster’s Coffee And Doughnuts is the dessert equivalent of a wink and a smirk, as mocha-filled donut holes are served warm with a side of dulce de leche ice cream for dunking.